Remi Jobard is the "intelligent and dynamic son" of Charles Jobard, the brother of Francois, and this domaine, now being run by Remi "is truly a family run operation, with Remi’s mother doing all the bottling by hand"… that is indeed an " up and coming estate". 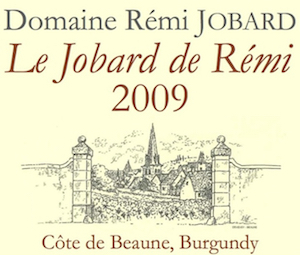 With the scores in the low 90s from The Wine Advocate, and up to 94 points in The Wine Spectator, and rave reviews in the French press, the secret is now definitely out on Remi Jobard. And why not, when he makes such delicious expressions from such great Meursault parcels that too often these days are not always producing the exciting wines that can potentially be made? In fact, when one starts tasting through his offerings, it is amazing just how great his Bourgogne is - it tastes like a really excellent Meursault. Then he makes three sensational and unique Meursaults from three different lieu dits: the Sous la Velle is rich, plump, and long with lovely balance; the En Luraule (a parcel adjoining Premier Cru Goutte D’Or and resembles that Cru) - very rich and golden buttery (thus Goutte D’Or) - while the Chevalieres from 55+ year old vines is very structured, firm, and complex, benefiting from extra time in bottle. The three Premier Crus are also exceptional for their expressiveness, but add to this their weight and character. The Poruzots is the most opulent and forward, with a real wallop of unctuous, juicy Meursault fruit. The parcel they own is situated at the top, adjoining Genevrieres. The Genevrieres parcel of Jobard is very old vines and here Jobard makes his most minerally, terroir-filled Meursault; but never at the expense of richness and depth. Finally, the Charmes, presents a culmination, it seems, a synthesis of all the strong points of all his other wines in a package of near pure perfection. To capture all of the texture and nuance Remi now also bottles all of his wines without filtration sixteen months after vintage. There is no telling how great his domaine can become.